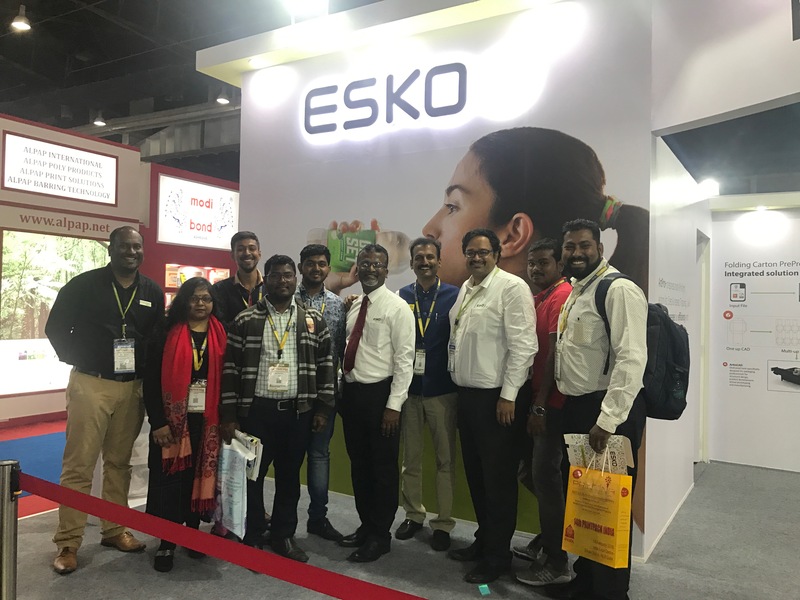 Chennai-based prepress and packaging training centre YesGo expanded its gamut of software with induction of ArtPro+, a revolutionary native PDF Editor from Esko, at 14th PrintPack India 2019, Greater Noida. Speaking on the investment, Nizam Appas of YesGo said, “Industry must equip itself with new and updated technologies to match pace with the rapid industrial growth. Speed, accuracy and instant output with minimal error are need of the hour today, and ArtPro+ precisely satisfies the industry demands. It comes with abundance of user friendly features like integrated preflight functionality, instant and automatic trapping, customized action list, easy access to tools based on the on-going task which doesn’t require any specific IT skills to operate hence make it not only industry friendly but operator-friendly too. It works with unmatchable speed and has combined features of DeskPack, PackEdge and Plato which certainly makes prepress easier than ever and celebrate this wonder as a must have in the industry which is going to rule the prepress and packaging industry. Established in June 2018, YesGo has completed four batches of training till now and is currently going on with the fifth batch. As a part of industry visit, YesGo students has visited and received trainings so far at Tetra Pack, Avery Dennison, Harshal Graphics, PR Packaging, Vee Pee Graphics.